Despite his modest protests, crime novelist Ian Rankin – best-known for the creation of curmudgeonly detective John Rebus – is a man who knows his whisky. In conversation with Dave Broom, he recalls his earliest whisky memories, unpicks the evolution of Rebus, and shares some of the highs and lows of his life. I’m sitting in the library of the Scotch Malt Whisky Society’s (SMWS) Queen Street venue on a quiet, sunny Sunday afternoon, ready to talk murder and discover how a boy from working-class Cardenden in Fife became one of Britain’s top crime novelists. It’s been 30 years since Ian Rankin’s detective John Rebus first appeared. Since then there have been 21 novels, short stories, a television and radio series. The books are set texts in Scottish schools. To celebrate Rebus’ three decades, this summer Edinburgh will host RebusFest, while Highland Park has also released a special bottling. A glass of malt is never far from Rebus’ hand as he sits in the chaos of his flat, grimly seething and musing over a case. Despite his protestations to the contrary, Rankin knows his whisky, so it seemed a good idea to use six drams as waypoints in his life. As I said, just a quiet Sunday. Music is a constant presence in the books – all the Rebus novels are named after song titles. At one point he breaks off the chat to show me pictures of him and Jimmy Page. ‘You’re still a fanboy?’ I ask. ‘Totally,’ replies the man who has done stage shows with Van Morrison and Jackie Leven (of whom more later). Is that contained within the whisky? Music seems to do the same for you and Rebus. The flawed loner cop is a stock character in crime fiction, but Rankin has imbued Rebus with a rarely-found complexity. Rebus may be cynical, but he operates with his own rigid sense of morality. He’s cranky and misanthropic, but with a black sense of humour; a hard man with a soft heart who sits in pubs with chips on both shoulders. Are the books state-of-the-nation novels in which the crime often seems secondary to what Rebus uncovers about Scottish society and its changing attitudes and prejudices? ‘I think they are. Crime fiction at its best takes on some big, serious moral questions, but does it in a way that’s not po-faced and on a soap box. Each of the novels is a piece of the jigsaw and, at the end of the series, you’ll get an impression of what Scotland was like at the end of the 20th century. It also taps into that theme of good and evil, which runs through Scottish literature. ‘Which is where Muriel Spark [the subject of Rankin’s unfinished PhD, which helped fund the first three novels] comes in. Her character, Jean Brodie, is descended from Deacon William Brodie [the real-life, respected cabinet maker by day, burglar by night, who was hanged on a gibbet of his own design]. ‘In Robert Louis Stevenson’s bedroom was a wardrobe which had been made by Brodie. His nursemaid told him stories about this man who was good and evil, which took me to Jekyll & Hyde, which then took me to [James] Hogg’s Justified Sinner. ‘Writer’s block? No. That’s just you! Once I get started on a story then it seems to just fly and takes me with it. When I start, I know as much as my detective. By the fourth, it’s me making it look like it was always meant to happen and I was in control all the time. Sips. Nods. Time to move on. Have his tastes changed as yours have? Talk turns to another Scottish singer-songwriter, Jackie Leven, who, after his songs began appearing on the late-night Rebus playlist, contacted Rankin. And so began a working relationship, which included stage shows, 2004’s CD Jackie Leven Said, and ended with Leven’s sudden death from cancer in 2011. At the time the books seem less about solving a crime, but about exposing corruption and the malign influence of privilege. How has he evolved over 30 years? Have you worked out the exit? It’s time for the final dram. He chose Glenfiddich because it was late Scottish writer Iain Banks’ favourite. You lost two close friends within two years. But it had got to that stage? It’s a way to stop mortality tapping you on the shoulder? Has your audience aged with you? Is crime fiction also about memory? So you’ve not made sense of the world yet? He shakes my hand and walks into the Edinburgh streets again. With thanks to the Scotch Malt Whisky Society for the use of their rooms at Queen Street and drams. 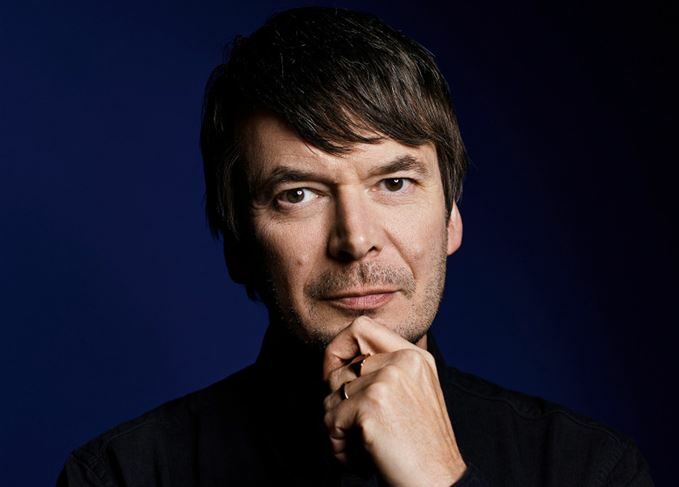 Ian Rankin’s latest Rebus novel, Rather be the Devil, is published by Orion. RebusFest runs between 30 June and 1 July. Details at www.ianrankin.com. The crime author shares several drams with Dave Broom while discussing music, whisky and life. The East Neuk has stunning vistas and an undeniable importance to the whisky world. A rich and sweet theme including three Dalmores, Highland Park, Glenrothes and Auchentoshan.